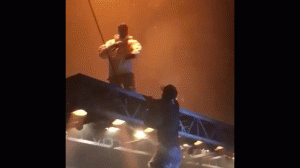 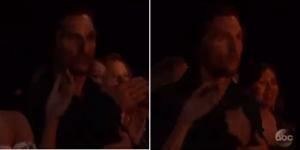 Crazy fan dangles from the stage during Kanye's performance of Power. 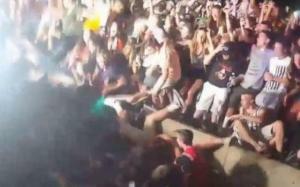 A tragic accident at a Snoop Dog and Wiz Khalifah concert leaves 30 injured when railing collapses. 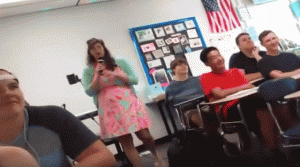 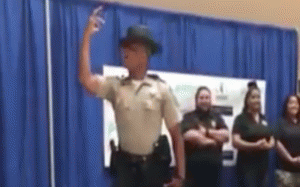 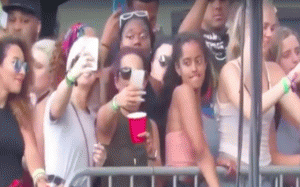 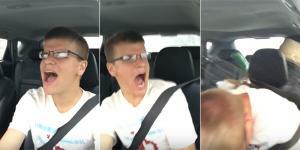 Malia Obama twerks at Lollapalooza and the internet freaks out.